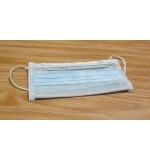 Ear Loop Face Mask, Blue 50/box 20bx/cs 1000/cs .. 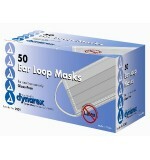 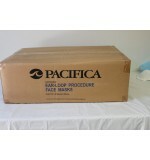 Ear Loop Face Mask, Blue 50/box .. 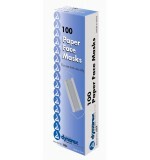 Ear Loop Face Mask, White 50/box .. 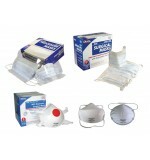 Ear Loop, Pleated Procedural Mask 50/box ..
Face Mask Ear Loop Procedure 12/50/CS ..
Face Mask Paper 10/100/CS ..
Procedure Ear Loop Mask, Latex Free, Blue, 50/Box, 6 Box/Case (300) ..
Procedure Ear Loop Mask, Latex Free, Yellow, 50/box, 6 box/case 300/Cs ..
UniMask Face Mask Earloop, Blue, 50/box, 10 box/case ..
UniMask Face Mask Earloop, Green, 50/box, 10 box/case ..
UniMask Face Mask Earloop, Pink, 50/box, 10 box/case ..
UniMask Face Mask Earloop, White, 50/box, 10 box/case ..